Welcome to episode 13 of The Royal Pains. We roam all over the place in this one! 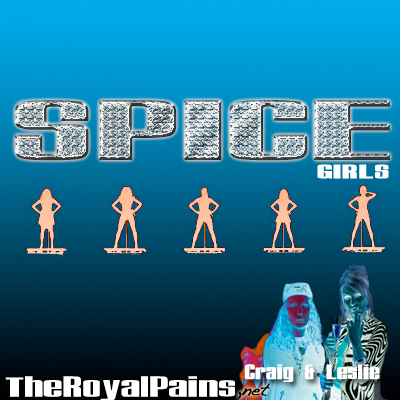 We laugh and talk about one of our favorite groups, The Spice Girls. Join us as we run our mouths! I just wanted to come by and give you both a big hug to say thanks for the shout out on the episode. It was very sweet to mention my new little endeavor and wanted you both to know how much i appreciate the encouragement. Leslie had mentioned wanting to go see the X-files movie when it comes out regardless of what the critics say, and I’ll be right there with her. I wouldn’t care if it was a flop or not…I’d be right there on opening day. Anyways, love to you both and an extra squeeze for my Empress from Bangkok!